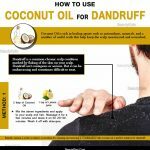 How to Use Tea Tree oil for Dandruff? Dry saclp can lead to dead scalp cells that in turn turn into flakes called Dandruff. Though a very common phenomenon during winters, dandruff has made quite a mess in ones life who are suffering with it. 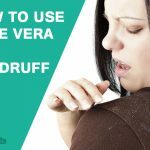 While people spend a lot to cure this problem, a natural remedy like the tea tree oil can help in eradicating dandruff naturally. 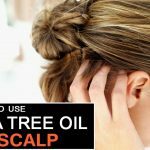 Does Tea Tree oil Help In Removing Dandruff? Where our skin conditions are concerned it is best to go for natural remedies. Dandruff is a persistent fungal infection that does not seem to stay away. If we look for one thing to recommend in terms of ability to heal, cure, regenerate and cleanse, it would be tea tree oil. Tea tree oil has anti fungal properties that can kill the dandruff creating fungus and keep the scalp dandruff free. Tea tree oil is known to be rich in terpinen-4-ol which is effective in treating scalp problems. Also being a natural germicide, it kills fungi and vacteria easily keeping the scalp healthy. Tea tree oil is a natural product that can beat any anti dandruff shampoo in it ability to cure dandruff. More over it comes with the perks of the lack of lasting side affect on the hair. This is a very effective method combining two of the best oils together that both nourish the hair and protect it. Warm a tablespoon of olive oil. Mix five drops of tea tree oil with the warm olive oil. Gently massage this mixture on your hair and scalp and leave it overnight. Continue doing this procedure daily for at least three weeks for best result. If you like to use your shampoo but also want to use the oil then this is the best method for you. Mix six to seven drops of the tea tree oil with your shampoo/conditioner. Use this mixture to wash your hair just as you wash your hair with shampoo. Use it as regularly as needed. For best results use herbal shampoos. If you are too lazy to massage your hair or you do not have a lot of time to spare then this is the best remedy for you. Mix eight to ten drops of tea tree oil in a cup of water. Pour this mixture in a spray bottle and shake it well. Spray your scalp with this mixture whenever it feels itchy. Note – your hair must not be heavily oiled. You will not get the desired results. Some precautionary measures need to be followed to avoid and unwanted side effects. Tea tree oil tends to cause skin irritation in some people. It is preferable to try it on a small part of your skin before applying it to your scalp. Use pure tea tree oil for best results. Do not apply tea tree oil over broken skin as it will make the conditions worse. 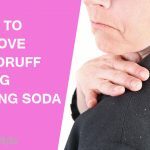 How to Remove Dandruff With Baking Soda? How To Use Apple Cider Vinegar To Cure Dandruff?